Home / Posts tagged "VPS"
Virtual Private Server (VPS) is a small computer hosted in a mother server that provides you the environment to host myriads of applications. From hosting websites, hosting applications, to hosting new test environments, the uses of a VPS are countless. Here in this article we have a list of 6 popular uses of renting a VPS. You probably have already understood the many technical terms of having a VPS, such as, what is bandwidth, RAM, CPU, or what is the difference between HDD and SSD Storage. 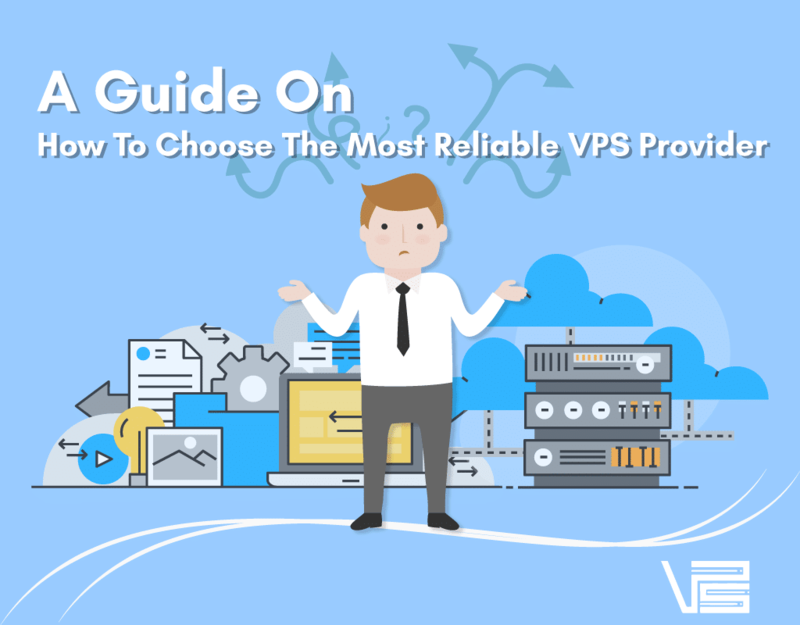 If these terms sound strange, you should check out our guide on how to choose the most reliable VPS hosting for you. It’s important that you know and understand these technical terms, so that you are informed about your purchasing decision. Now, the next learning milestone for you is understanding the role of an Operating System (OS) in a VPS, and the differences between Linux VPS and Windows VPS. What is an Operating System (OS)? According to technopedia.com, an operating system (OS) is a software that allows a user to run other applications on a computing device. If you have a laptop or a desktop PC at home, these devices most probably run on a Windows OS. While a Macbook runs on Macintosh. Laptops and PCs aside, smartphone devices also run on different OS. The two most widely used OS in today’s market are Android and iOS. VPS runs on two major OS: Linux and Windows. 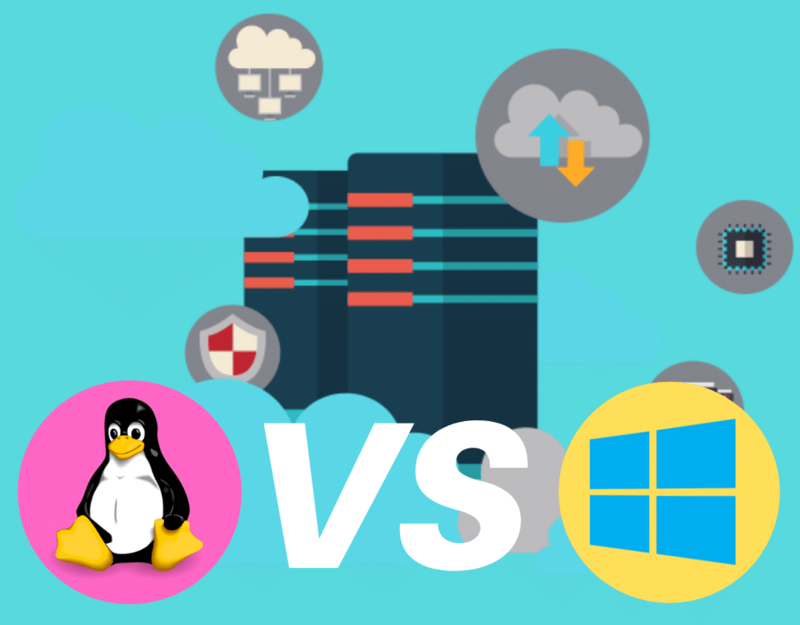 Let’s dive into the differences between Linux VPS and Windows VPS. Have you ever closed at website because the page loading speed is terribly slow? I’m sure most of us have been there. According to Kissmetrics, 47% of web visitors expect a website to load in less than 2 seconds. If the loading process takes longer than 3 seconds, 40% of web visitors will leave the website. This statistics tells us how important it is to have a fast page loading speed. Then the big question we now ask is, is there any differences between Linux VPS and Windows VPS in terms of performance. Let’s find out. VPS running on Linux is designed specifically to be secured with Secure Shell (SSH). SSH is used to manage VPS by typing in command lines. This trait makes Linux VPS more resource efficient. When there is high loads of resources, Linux VPS doesn’t require its administrator to perform regular reboots. A lesser number of reboots would mean a higher performance, since any applications hosted on Linux VPS is not susceptible to more technical hiccups. Windows VPS are commercial products designed for common users. It uses a Graphical User Interface (GUI), that makes navigation more user-friendly. However, this comes with a downside. After every major/minor patch, and driver/software update, your Windows VPS must be rebooted, or will be rebooted automatically according to its internal schedule. Windows users most probably know this well, if you remember the scheduled computer restart following an update. The other downside of a Windows VPS is that it can be resource hungry if it is not optimized properly. This is because the Windows OS has a lot of pre-installed applications that takes up a lot of CPU power when running in background. Conclusion: The performance of Linux VPS definitely surpasses Windows VPS. Cyber attacks are constantly on the rise. Common threats to a website include DDoS attacks, data breaches and malwares. Here are some facts and figures by CSOnline.com to give you a sense of how common cyber attacks are in the Internet. The average ransomware attack costs a company $5 million. Now we know the importance of cybersecurity, which of the two is more secure- Linux VPS or Windows VPS? Let’s dive into the details. An important fact that gives Linux VPS its topnotch security is that Linux is open source. There is a huge community of professional coders who could review, detect and comment on its vulnerability. This also allows the bugs and backdoors to be fixed as soon as possible. But Linux is more secure also due to the reasons that it has a smaller user base. You’ll understand the justification quickly as I explain this in the security of Windows VPS section. According to an estimate by NetMarketShare, 88% of all computers on the Internet run on Windows OS. That is more than two third of all these computers combined! With a user base this massive, cyber criminals are constantly prying on Windows OS, trying to find a loophole within. Conclusion: Does Operating System affects the security of your VPS? Well, the answer is yes, and no. It is not that Windows have weak protection against cyber criminals. They have been constantly upgrading and strengthening their protections against cyberattacks. But, having a massive user base, cyber criminals naturally set their sights on hacking Windows, rather than Linux. This article explains in-depth the comparisons between Linux VPS and Windows VPS in terms of security. If we have to crown only one OS, Linux VPS is much safer than Windows VPS. An open source code itself, Linux is ideal to host open source software like PHP/Perl, Java, Python, ROR, SSH, CGI, MySQL, and many more. Here is a compact list of 50 open source softwares that are compatible for Linux business users. Windows VPS runs only on Windows specific software and applications. Some examples are ASP, MySQL, C#, MS Access and others. Take a look at a list of software and applications designed for Windows by Google. Conclusion: Most commercially available softwares that are ready to use are targeted at Windows OS. It is not surprising since Windows has a larger market share compared to Linux. However, all these commercially available softwares come at a cost. Linux softwares are open source, so they are all available for free. But either choices work well for users, so we’ll call it a tie in this section. Having server access means users have a better control over configuration of their VPS. Which one is gives more flexibility to users- Linux or Windows? Can you guess? File Transfer Protocol, or in short FTP is a convenient tool for users to upload and download files. Building a website, for example, requires FTP, because you need this tool to upload media (photos or videos) from your PC to your VPS. FTP is accessible on Linux. However, another server access that you want to have is a protection protocol, called SSH, available only on Linux. FTP that gives you the ease to move files around is also available to Windows. But, SSH is absent on Windows OS. There is one way to go around this- installing PuTTY on Windows VPS. SSH.com has put together a useful guide on how you can use PuTTY on your Windows VPS. Conclusion: Linux VPS definitely gives users more access to the server. Although Windows VPS don’t run on SSH, there are ways to get around. Linux VPS is slightly more advantageous than Windows VPS in this section. Slightly. Building a website is all about customization and management of different settings and features. The control panel covers this pesky job flawlessly for all of us. Control panels available for Linux are cPanel or Web Host Manager (WHM). Conclusion: Whether it’s cPanel or Plesk, both interfaces are user-friendly. And again, a tie. Technical issues are unavoidable when it comes to VPS or any other servers. What you need is a professional support team that can assist you at an instant. Linux is backed by a huge community of professional coders. They are individuals who find examine source codes to detect and fix bugs and backdoors. However, the reliability of their support may not be the best you can find. After all, these professionals are not paid to do a 9 to 5 customer support job. Windows is an OS developed by a massive multi billion dollar company called Microsoft. The company is well backed up by a team of professional IT supports that are ready to help you solve any problems at anytime. Conclusion: Windows, with its worldwide reputation definitely has an upper hand in this section. However, whether you choose to host a Linux VPS or a Windows VPS, our professional customer support team is ready to assist you 24/7. We want to make sure that our customers get the best hosting experience at VPS Malaysia. Back in the days, we always hear, “Whether it’s easy to use or not, it all depends on your technical knowledge.” However, this might not apply entirely today. Advancements and improvements have been made over the years. Let’s take a look. Command lines- this used to be the enemy of all basic users. But looking at how GUI is now available to Linux OS today, it no longer applies any truths. Lifewire frames the usefulness of GUI and command lines in different situations perfectly in this article. In fact, cPanel that Linux uses is one of the most popular hosting management tool. Windows brags its intuitive GUI as a highlighted selling point, which makes it very friendly to use for any users. Conclusion: If you are a knowledge-seeker and you don’t mind Googling up some information on how to use Linux, Linux VPS could be a choice. However, if you think that learning is too troublesome, and since you are already very familiar to Windows, then Windows is the perfect choice for you. Scalability is the server capability to handle increased workload and demand without decreased performance, as explained by technopedia.com. There are two main Linux VPS options in today’s market: Linux OpenVZ VPS and Linux KVM VPS. Both can be easily upgraded (this can be done via your control panel) to handle an increased workload. However, only Linux OpenVZ VPS can be downgraded, when required. Linux OpenVZ VPS also doesn’t require users to reboot their VPS after upgrade installations. Windows VPS can be scaled up, but not scaled down. Changes only take effect after users reboot their server following upgrade installations. Conclusion: You should consider your personal application of having a VPS. If you’re expecting an increase of server workload to follow after a period of time, both Linux VPS and Windows VPS are suitable. Increased server workload usually happens when your VPS hosts more applications, such as test environments, games, or when your website receives a lot of traffic. However, the advantage of a Linux OpenVZ VPS is that you are ready to downgrade anytime, and your VPS does not require rebooting. The inability to downgrade and having to reboot are downsides to Linux KVM VPS and Windows VPS. Cost is a primary concern for many users. Businesses want to save costs. Individuals want to save money so they can plan for trips. Nevertheless, we all want to save costs. Which one is more affordable? It’s pretty obvious, at this point, isn’t it? An open source platform itself, Linux has significantly lower costs. Linux OS doesn’t require you to pay a license fee every year. Most Linux software and applications are free to use too- all thanks to the generous developers. Windows is a commercial product by Microsoft, so naturally users have to pay a licensing fee. Our Windows VPS plans include Windows licensing fee. Conclusion: If you don’t mind paying a little extra for familiarity, then Windows VPS is the right choice. If you cringe at the knowledge of having to pay extra every month, you should go for a Linux VPS. Linux VPS has its advantages in terms of performance, security, cost and server access. On the other hand, Windows is more advantageous in the aspects of support and ease of use. Looking at this, Linux VPS surely has scored more points compared to Windows VPS. However, there is one important thing that you must consider- programming language. Linux and Windows both use very different languages. While you’re still deciding on which OS to use, have a look at our Linux KVM VPS Plans, Linux Open VZ VPS Plans, and Windows VPS Plans. With less than RM2 per day, you get to enjoy a full fledged, professional VPS hosting experience. At VPS Malaysia, you can deploy your VPS in under 30 seconds. If you have any difficulties with your VPS, our professional customer support team is ready to help you 24/7, anytime, anywhere. And here’s the biggest perk for you- 30 days risk-free VPS! What does it mean? You get to try our VPS, and if you are unsatisfied with the performance, we guarantee to give all your money back in 30 days. Try one of our VPS hosting plans today! VPS is like a computer. It uses physical resources such as CPU, RAM, disk space to create a virtual computer space. In this computer space, you can install an Operating System (OS) that allows you to perform different actions using a friendly interface. You can also run different software and application using VPS. What are the uses of a VPS? Think of it as a remote computer. Anything that you can do on a computer, you can do with a VPS. This means you won’t be limited to just web hosting, though most virtual servers are used to host active websites. This is the most common and popular use. Since virtual private servers provide more resources for your website like CPU, RAM, etc. than shared hosting, you’ll find that your website feels more responsive. Plus, with full control over the virtual server, you can install and remove software as you like rather than being stuck with what the host offers. Or if you’re looking more towards professional uses, you could use a VPS for hosting files and other media. Basically, anything that runs as a server can be run on a VPS. Have you ever thought of running your own game server for your favourite multiplayer games? Well you can do that too. Since dedicated hosting is expensive, virtual servers can be used as testing grounds for server setups that aren’t ready to go live. Also known as a seedbox, you can use a virtual server only for torrenting. If you torrent frequently, migrating the effort to a remote VPS not only frees up a lot of home bandwidth, but it also allows you to torrent 24/7. It’s cheaper to use cloud-based storage, but if you’re already using a VPS for some other reason and you have leftover space, you might as well think of it as free file storage for documents and important files. What Benefits Do I Get When Upgrade To VPS? No more sharing when you upgrade from shared hosting to VPS. Expect an increase in server reliability and scalability. VPS also has a better ability to handle sudden heavy workload. When cyber criminals attack a user in shared hosting environment, every other users in the same environment will suffer the same consequences. Shared hosting is especially sensitive to DDoS attacks. DDoS uses a trial and error method to gain a user’s username and password. If you need to configure your server, VPS is the perfect starting place. Given a complete root access, VPS provides a flexible testing environment for you to run different experiments. How Do I Pick The Right VPS? What Software(s)/Application(s) Are You Using? When targeting customers from within a local region, pick a hosting provider that serves within the same local region. When targeting customers globally, use Content Delivery Network to optimize loading speed across global users. We usually refer to latency as Ping. The higher your Ping, the more lag you experience, thus the slower your website loads. A website that loads slow puts your online business at a great disadvantage. Why does website loading speed matter? According to a Google research in 2018, 53% of mobile users leave a site that takes longer than 3 seconds to load. What does that mean? You are losing 53% customers because your website loading is taking more than 3 seconds! Remember, 3 seconds website loading speed is the new benchmark. Are you losing customers due to slow website loading? Don’t guess. Check now using this ping test tool! 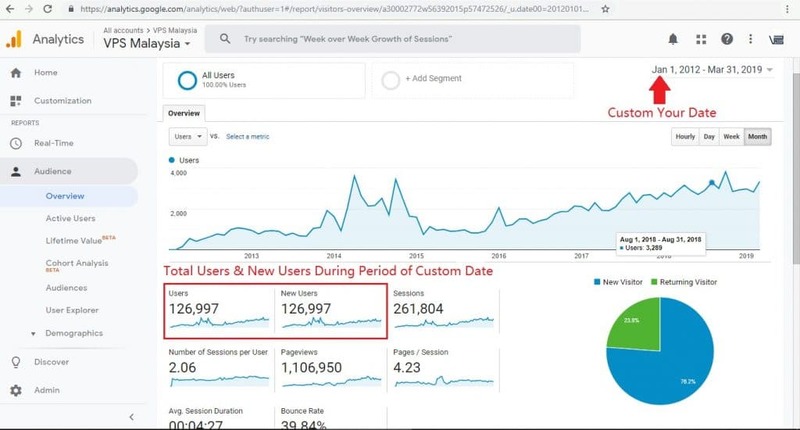 The sum of users and new users will tell me the total number of users since Jan 1, 2012 to March 31, 2019. I will need to do some simple math to get the number of average users per day. But, you get the gist. Website gets more than 10k daily traffic regularly. Website is experiencing a longer loading time. How do we get the number of 10k traffic per day? First, you must understand that a server’s ability to handle massive amount of traffic depends on several factors concerning sever resource specifications. CPU, RAM, Disk used, RAID, etc – they all contribute to make a capable server. You can read and understand more about server resources here. These estimations come from our own data – during server load and stress test, and benchmark of current customers’ usage. When performing a server stress test, we load every single server resources to a maximum of 100% capacity to observe how the server can handle load, and how well it scales during heavy usage. Every single one of our deployed servers has passed the stress test. And we are confident that our servers will meet your high demands and expectations. Point 3: How Much Storage Do You Need? It depends. Websites that serve videos to users definitely need a bigger amount of storage. Websites that keep a big database will also require a bigger storage. The amount of storage is generally not a big worry, because you can upgrade your storage as you go. However, the type of storage, does matter a lot. There are two types of storage in the current market – HDD and SSD. Generally, SDD performs better than HDD on every aspect. SDD has a faster read & write speed, a lower failure rate, and a faster boot up time. If you want to read an in-depth comparison between SSD and HDD, we have a blog post about that topic here. Given these advantages and technology that it uses, you’d guess that SSD will be more expensive than HDD, and you’re correct. It all depends on you. Do you prefer quality over quantity? Or vice versa. I’m not very patient. Given the choice, I’d pick a SSD VPS Hosting for its fast read & write speed. Point 4: What Software(s)/Application(s) Are You Using? The types of software and/or application you run on VPS will decide which OS you should be choosing – Windows or Linux. For example, if you are more familiar with Plesk control panel, it is available on Windows only. cPanel runs on both Windows & Linux. Of course, control panel is only one contributing factor. List down all the software and/or application you want to run, that includes database management software, enterprise resource planning software, etc. After that, you should be able to decide which OS is the perfect one for you. If the result comes down to a tie, you might do a more in-depth comparison between the two. Which one is better in terms of performance, security, server access, support, ease of use and scalability? Read this blog post to find your answer. How Do I Pick The Right Hosting Provider? On-demand support is increasingly more important. No one can predict when is downtime going to happen. No one knows when users will face difficulty with hosting. A good hosting company can provide quick and easy solutions to their clients. Pick a good host that is within the locality of you and your target customer. If you serve customers worldwide, ask your host if they provide the service of CDN. Almost all hosting companies now proclaim 99.99% uptime. That’s great news. How about data and server security? What measurements do they take to prevent/solve DDoS attacks? How about SSL? Firewall? These are important questions concerning the security of your server and website, as well as your customers’ data. The market only becomes more competitive. Deploying a good server no longer comes at a high cost. If you can get a good VPS at an affordable price, what do you think are the most important qualities of a good hosting provider? It can be a tough decision to make when it comes to choosing the best VPS hosting. After all, we all want to look for a reliable VPS hosting for a long-term solution, just as we all want a trustworthy and reliable friend when moving into a new apartment. Here is a simple walk through that will guide you into choosing the best VPS hosting you can invest in long-term. 1) What Is A Virtual Private Server (VPS)? 2) What are the uses and benefits of having a VPS? 3.1) Where is Your VPS Hosting Located At? 4) What Is A Good Price? A Virtual Private Server or VPS is a virtual environment that runs on its own Operating System (OS), typically on Linux or Windows. Unlike a dedicated server that operates fully on one mother computer, the mother computer of a VPS is divided into multiple compartments. Although these compartments share the same server, the resources are allocated individually and separately for each compartment. Hence this makes VPS a more affordable solution compared to a dedicated server. Having a VPS has multiple uses. The most popular ones include, hosting a website, hosting a game server, hosting Forex Electronic Advisors, and running multiple MT4 accounts with Forex trading. These are of utmost importance to you, if you are a Forex trader, whose profits and loss depends entirely on how smooth and fast you can trade on the trading platform. Let’s get familiar with some technical terms to widen your VPS vocabulary knowledge bank before settling on the best VPS hosting. Random Access Memory, or in short RAM, is a form of computer data storage that allows data to be read or written in a similar amount of time, regardless of the where the data is located inside the memory. The bigger the RAM, the faster the data is read or written, and hence the less time it takes to complete a task instruction. VPS hostings typically offer 1GB RAM as a start, but it can go up to 8GB, depending on your personal use. It is important to look for a high performing RAM that gives you low latency when running complex calculations. Especially more so for Forex Traders who deploy Electronic Advisors (EAs) on your trading platform. Central Processing Unit, for short CPU, is an electronic circuit board inside a computer, that carries out a computer program instruction, by performing basic algorithms. In short, a CPU performs the task of turning programming instructional inputs into operational outputs. Look for a VPS hosting that offers a CPU with great performance. There are many options to research and choose from. However, considering the balance of price and performance, VPS Malaysia uses E5-2680, with 8 cores and 16 threads, that runs on a 2.7 GHz processor. It is significantly better than the 2.5GHz E502640. The most optimum performance for a server uses two physical CPUs for every server. Thus our packages give you 16 cores and 32 threads for a smooth hosting experience. There are two primary concerns when it comes to storage: disk space and the type of storage. The term disk space speaks for itself. It refers the the capacity or amount of storage you can have in your VPS. Typically, we find the disk space in a computer’s hard drive, but it can also come in the form of a USB drive or a memory card. Disk space is measured in megabytes (MB), gigabytes (GB) or terabytes (TB). Next, let’s look at the type of storage. In today’s market, we are offered with two storage options: Solid State Drive (SSD) or Hard Disk Drive (HDD). There are pros and cons to both types of storage. Let’s sum them up for an easier read and understanding. It is pretty obvious that SSD has winning advantages over HDD. 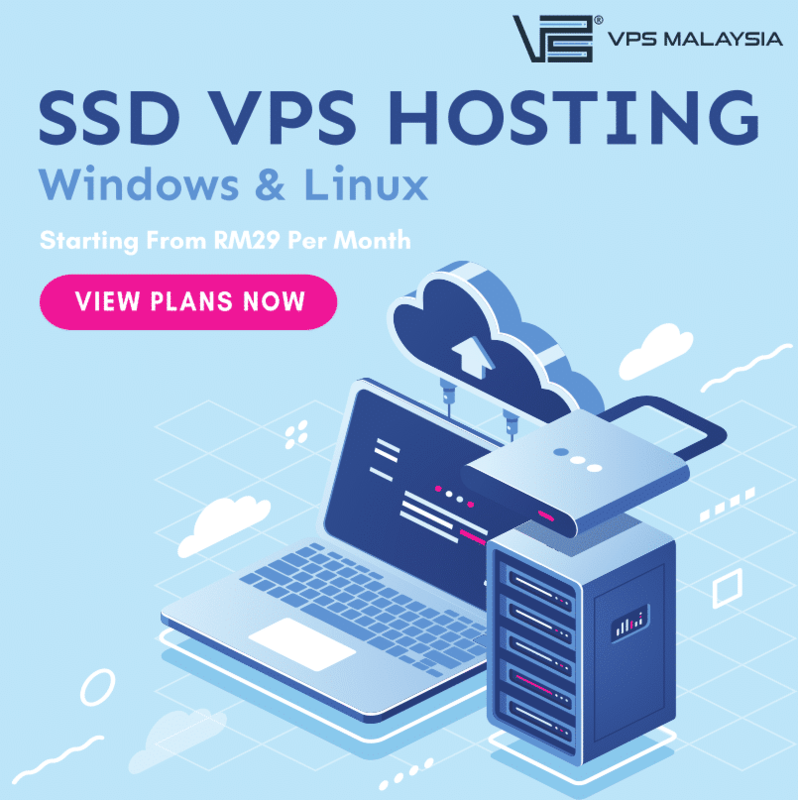 Sticking to our values to provide you a high performance and smooth VPS hosting experience, VPS Malaysia uses SSD from trusted brands like that of Kingston, Samsung and Crucial. The most basic package offered gives you a good amount of story capacity up to 25GB, and is expandable up to 100GB if required. Bandwidth is the amount of data transmitted over an Internet network in a fixed amount of time, typically measured in mega bytes per second (Mbps) or mega hertz per second (MHz) on a mobile carrier network. It can be seen on the notification panel of your smart phone device right beside your network carrier. When looking for the best VPS hosting, a bandwidth of 100Mbps is more than enough to perform different uses. Uptime defines how reliable the system is, and is often expressed as the percentage of time a computer is available or has been working. Uptime is important when looking to invest in a VPS. Having a downtime would mean that, a website or an application, such as the MT4 Forex Trading platform is not running and is not available for access. Imagine having a heavy traffic to your e-commerce website. Having a downtime is bad news. You lose potential customers, thus losing profits, since they would not be able to view nor purchase products from an inaccessible website. Make sure to always choose a VPS hosting that pledges 99.9% uptime. Never settle for anything less. Scalability and upgrade, these two terms are exchangeable when talking about a VPS. They typically refer to the same thing, which is to simply expand VPS specifications. Normally we look to expand the RAM and/or the disk space. The best VPS hosting provides you the ease of scaling or upgrade your plan, or even to customize your plan, anytime you wish. This is one of the more exclusive features that you get when signing up with a hosting provider. As individuals managing a VPS, you’d need more time to research and decide on the server specifications you wish to expand. Such as finding out which brands of storage is more reliable and recommended. However, with a VPS hosting, you can save up a lot of time for research and decision-making. You can simply make a request to the dedicated customer support group. And then you can just sit back and relax, while the provider deploys their tech support group to complete your request immediately. Here are the monthly Windows VPS packages offered by VPS Malaysia. Upgrade anytime you want. 3.1) Where is Your VPS Provider Located At? This, is important. Why does it matter where your server is physically located at? You may ask. Yes, it does. When it comes to Search Engine Optimization (SEO), it is recommended that you keep your servers close by. Not necessarily within the same city. But you should keep it in the same country. Google ranks take the geo-IP location of your server as one of the important factors. On top of that, the physical location of your server affects the number of hoops it takes for data to move around. The fewer hoops it uses, the faster your information is transmitted. In Malaysia, the location to set up the fastest server is at CX2 Data Center in Cyberjaya. All servers of VPS Malaysia are set up in this data center. CX2 Data Center in Cyberjaya, Malaysia. No matter how good the specifications of a VPS, technical problems will surface once in a blue moon. The best VPS hosting understands this technical complication well, and is more than happy to offer the added value of providing 24/7 customer support to assist their clients at solving their problems anytime, anywhere. If you opt out from having a professional customer service team, it will take up too much time and effort to diagnose and solve a technical problems. For the tech geeks, it may not seem like a problem at all. However, most of us would rather not to be burdened by these problems- our hands are already full of tasks to completed daily. Even if it costs slightly more, make the right choice to go with the best VPS hosting that gives you 24/7 customer support. Living in a capitalistic world, all businesses want the same thing- more profits, less spending. The best VPS hosting price must reflect 3 values: stable, reliable and affordable. We can be easily attracted by cheap offers. But, is cheap equal to good in long term? We see many providers that lure consumers into signing up for a free VPS, or a ridiculously cheap VPS. But, soon, they would find out that, the VPS they signed up is not promising at all! 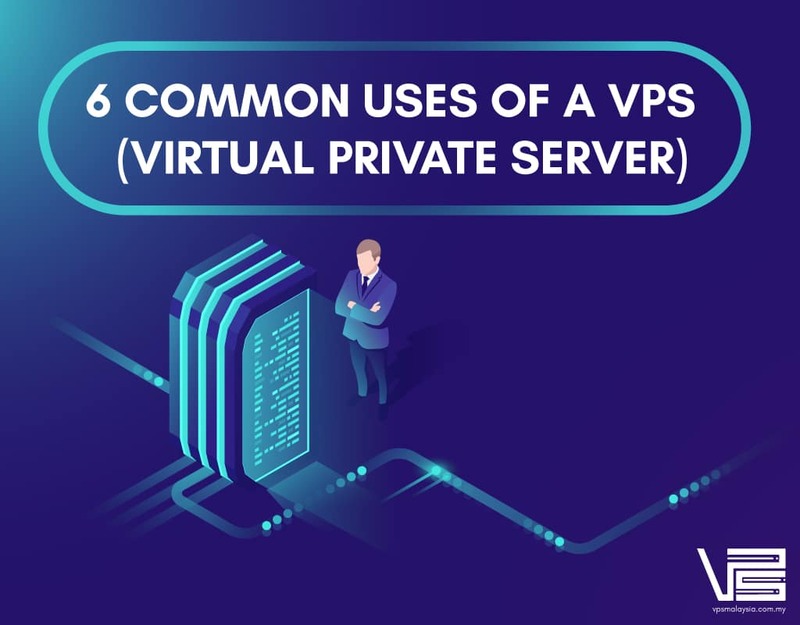 For example, the VPS would not run smoothly, there is a constant downtime, there are hidden fees and charges applied, and worst of all, being denied access to your server. Always remember the 3 values: stable, reliable and affordable. The main attractive features of VPS Malaysia. We never oversell our VPS. We don’t boast our reputation. If you’re not convinced, here, sign up for a 30-days trial. If you’re unsatisfied with our services, you can get ALL your money back in 30 days.